I started this journey of thinking about what I can learn from running back in September 2007. A bit like Zen and the Art Of Motorcycle Maintenance I was feeling there was more to running than just running. More recently I have been scribbling down little snippets of ideas but never having time to write them up so here goes ... a new Blog dedicated to "Zen and the art of running" called "Run Lessons" as that's the only relevant blogger name left for me to use - zenrun, runzen, run2learn and a whole lot of others being taken. "Loneliness of the long distance educationalist"
One of the activities I like is running and over the last few years I have been trying to get my times down on 2, 8 and 13 mile circuits. This involves hard effort, recording split times post run analysis and a focus on identifying the problems and areas that slow me down. Recently I wanted a good run, didn’t have the time for a long run but didn’t feel like the pain of a 2 mile run against the clock so decided on a new route with steep hills. What a refreshing experience this was – to run a new circuit with no previous time to compare against although I did recorded the time for the next run on this circuit. 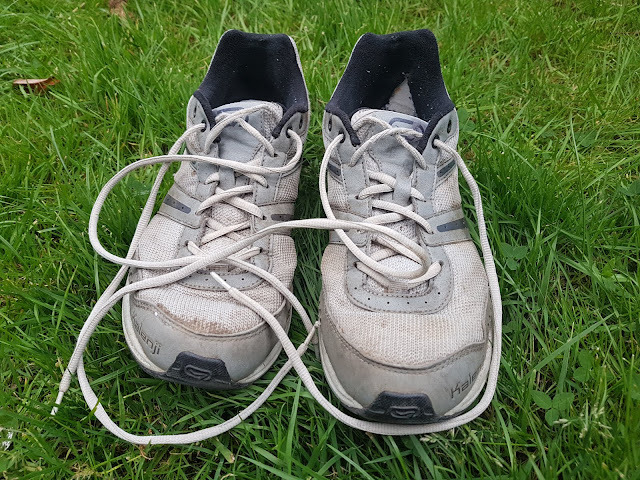 Today I set of for a run again but of a different kind – I didn’t set the clock and I decided only roughly where I would go – that I would “explore” a little and adjust the run as it progressed. What a pleasure this was and it reminded me why I started running in the first place – to get out in the open, to get some exercise and to see some of the area around where I live. This made me realise that the reason I started running had been lost and had been overtaken by the activity of measurement and analysis. Now I am looking forward to exploring a new route in next week’s run. Measurement and performance analysis has its place in certain activities – these usually involve competition, definition and repetition. We should be careful however that the act of measuring an activity doesn’t become more important than the activity itself and that measurement is a valid and appropriate thing to do for an activity. Whilst out running I couldn’t help thinking about performance measurement (tests) and the effect these have had on education. In the controversy over the better grades achieved today I believe this is down to teaching and learning rather than easier tests – this can’t be surprising given today’s focus on measurement and testing and the hard work that goes into getting these results. However, we can ask just what it is that is being taught and learned – are we teaching a subject or are we teaching how to pass a test in that subject? What is education? In the developing fast moving, information rich, “global” societies of the 21st century there is a need for people to develop better information management skills to research, evaluate, decide and communicate. These general information management skills are a large part of what education (teaching and learning) is about and educational thinking asks us to look at ways to develop them in our students. While we have to coach our students to do as well in educational tests as they can we can also try to develop and improve the educational experience itself (the journey) with the inclusion of information management and new teaching techniques. Education can be and should be enjoyable. Now where are those trainers – I feel like another run.